How far will you believe in miracle? That one’s faith in miracle can actually save a life. 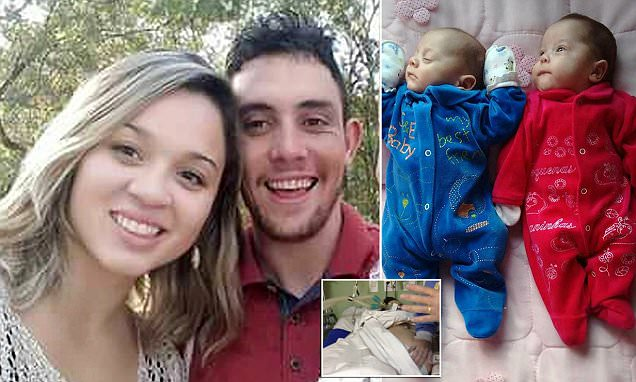 But on this short video, it tells about how the doctors of this hospital tried to save the lives of this twins on their mother’s womb who is already in a state of coma. Frankielin was feeling sick on her 9th week of conception. When she’s having frequent neck and head pains, she asked her husband to bring her to the hospital. Frankielin left her last words to her husband telling him he must be prepared and be strong, because she will be staying in the hospital, and there’s no promise that she’ll go back. The doctor declared that the mother already is brain dead due to her stroke and there would be no resources and to revive her. But the doctors tried every possible means to save the twins on their mother’s womb because the twins are still fighting because their heartbeat is still stable. To sustain the unborn babies and to feel that they’re still loved, the doctors and nurses of the hospital visit Frankielin and they talk, sing and play music. From this video, you would see the womb of Frankielin moving, as the twins react to the music being played. After more than six months, the doctor operated on the mother through the caesarian procedure. Ana Vitoria and Asaph were born, and both of them are healthy. Even at the last minute of her life, Frankielin has been strong to deliver her babies and to nurture them with love.